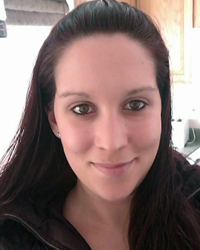 Melissa Benson became a caregiver because she has always enjoyed helping people. She has worked as a Personal Care Attendant for the VNA and UVM Medical Center, working with individuals with diversified needs, including patients with dementia, ICU, Trauma, and Fanny Allen Rehab Center. She enjoys going into clients’ homes, spending time getting to know them and their families, and helping to brighten their days. Melissa's 3-year-old son enjoys visiting clients with her, always willing to share his snacks and eliciting smiles!